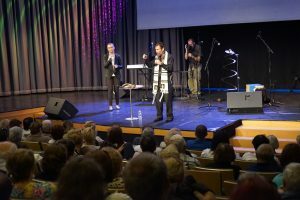 It is a new season for Discovering the Jewish Jesus! 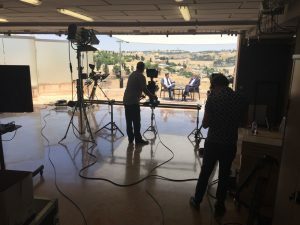 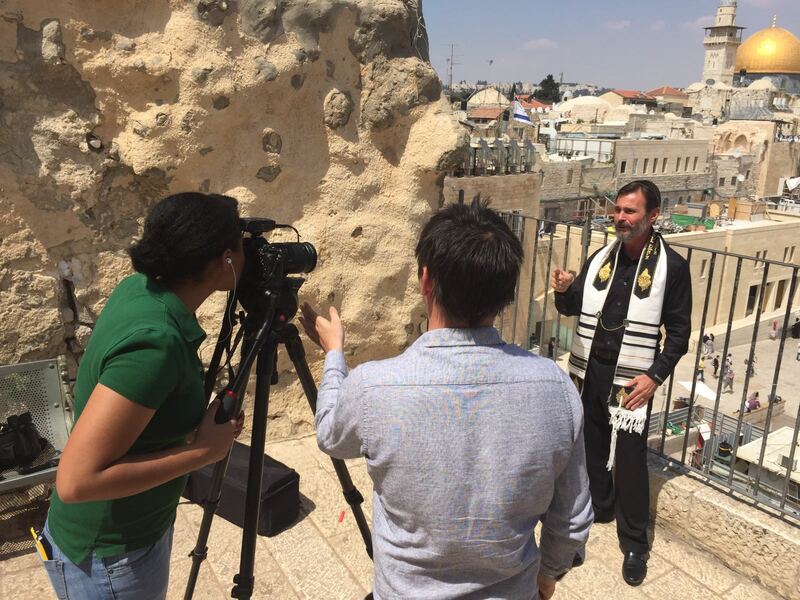 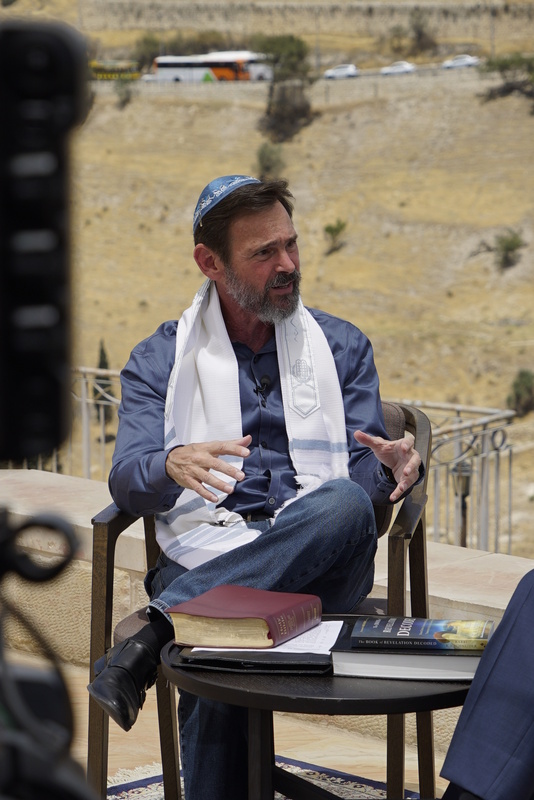 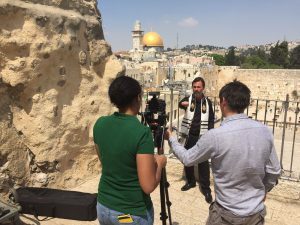 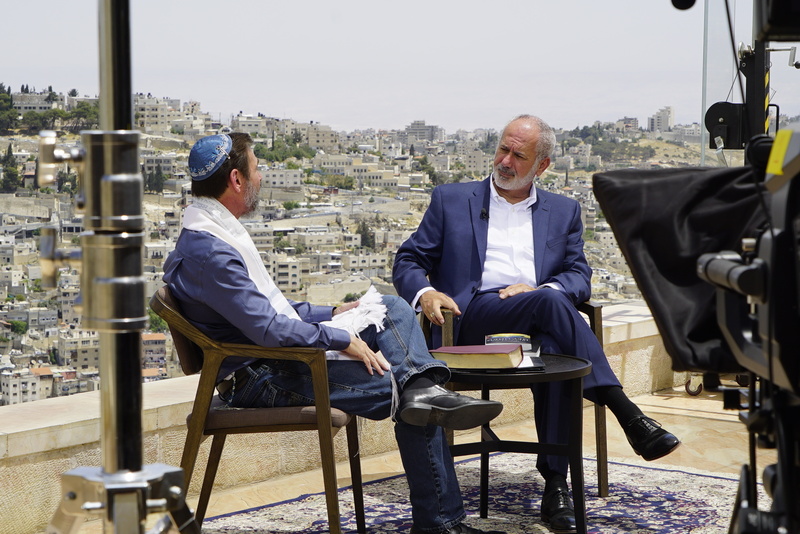 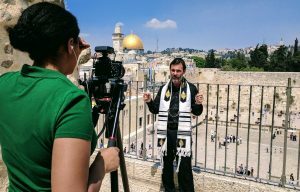 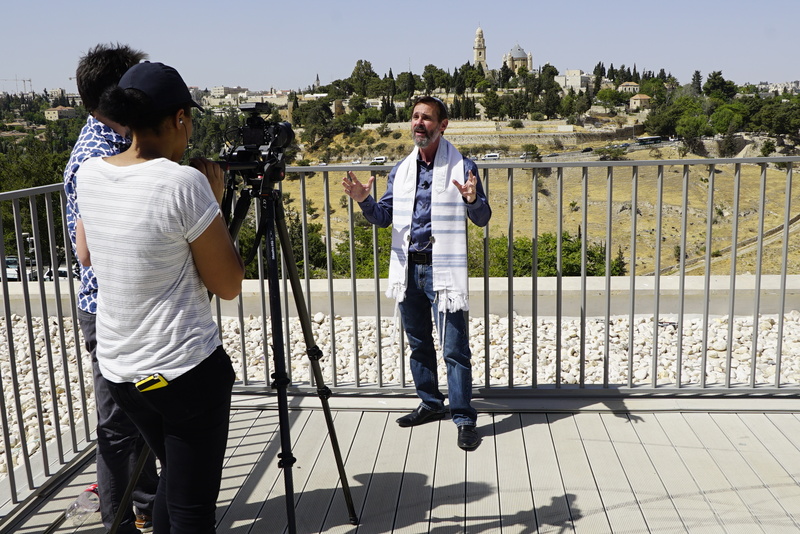 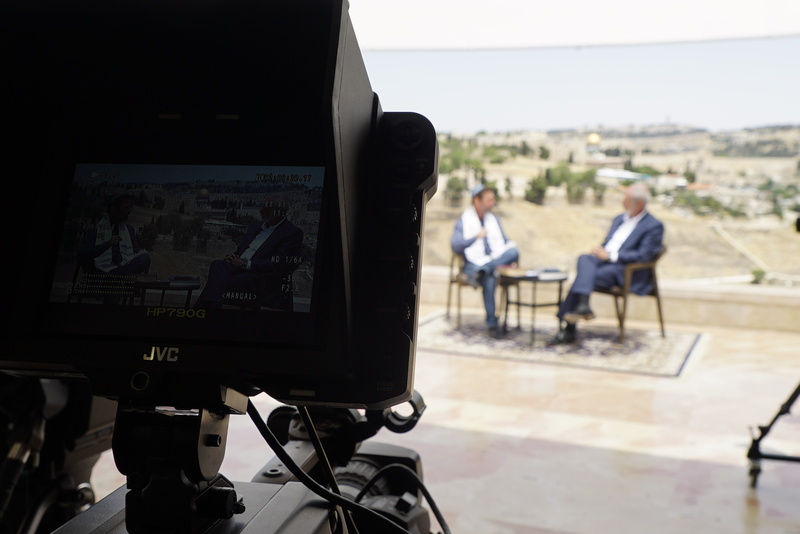 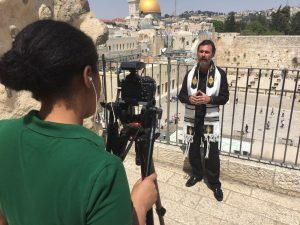 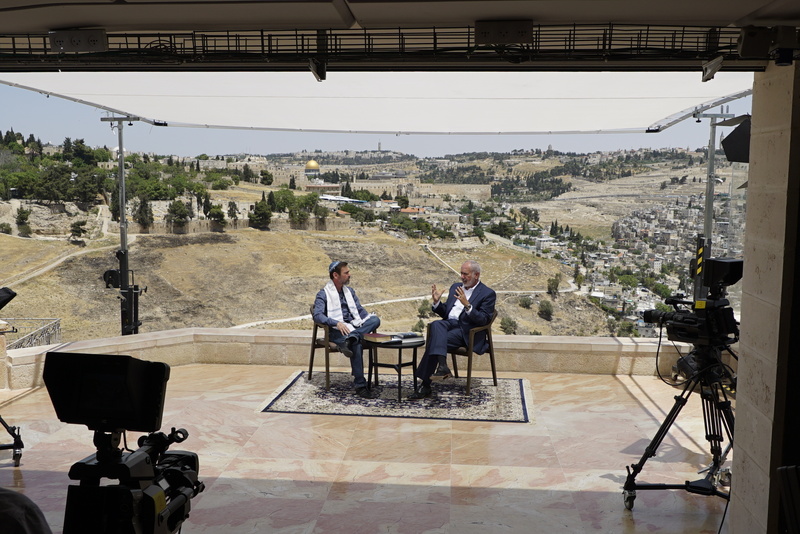 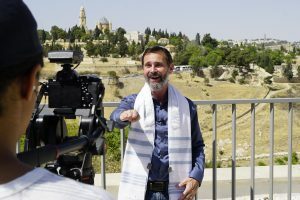 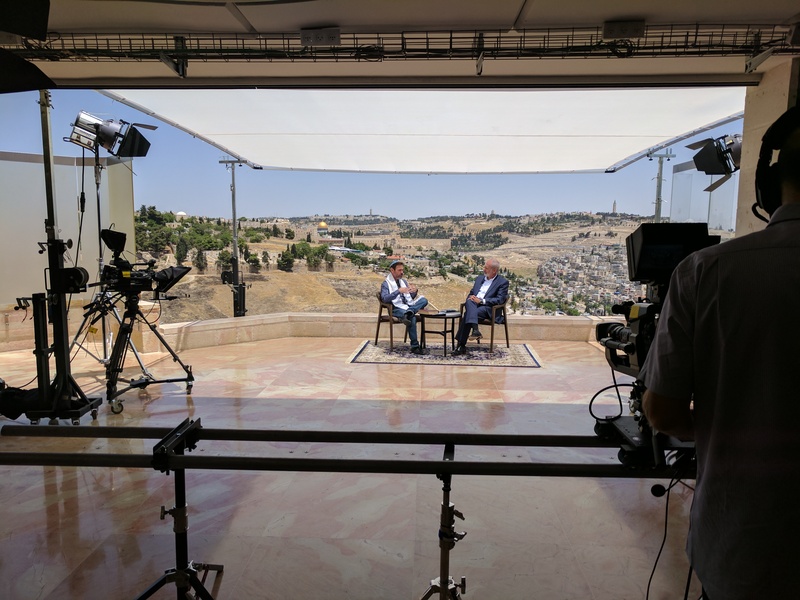 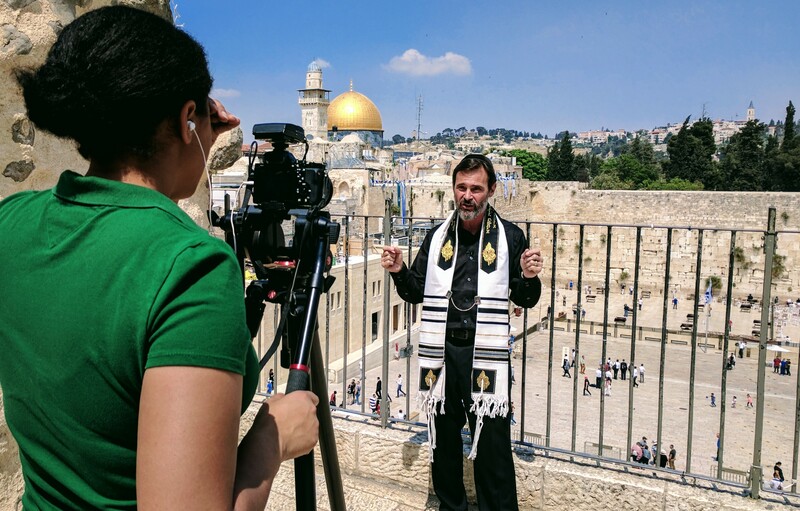 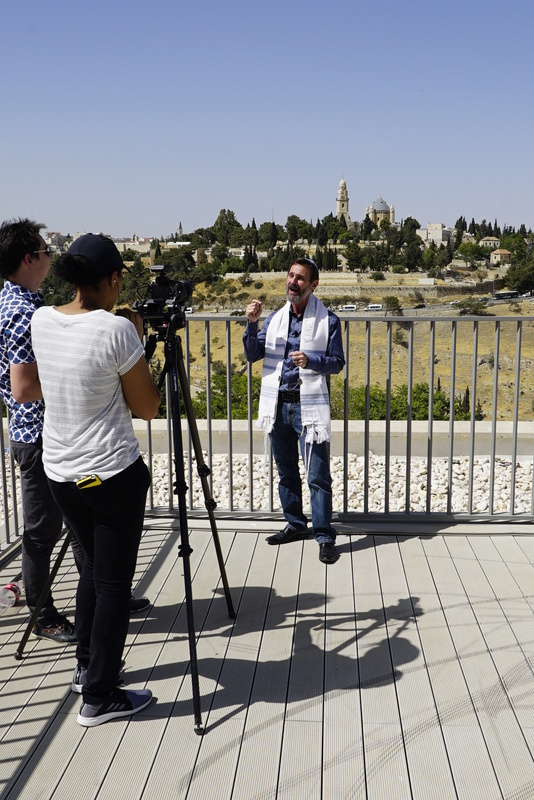 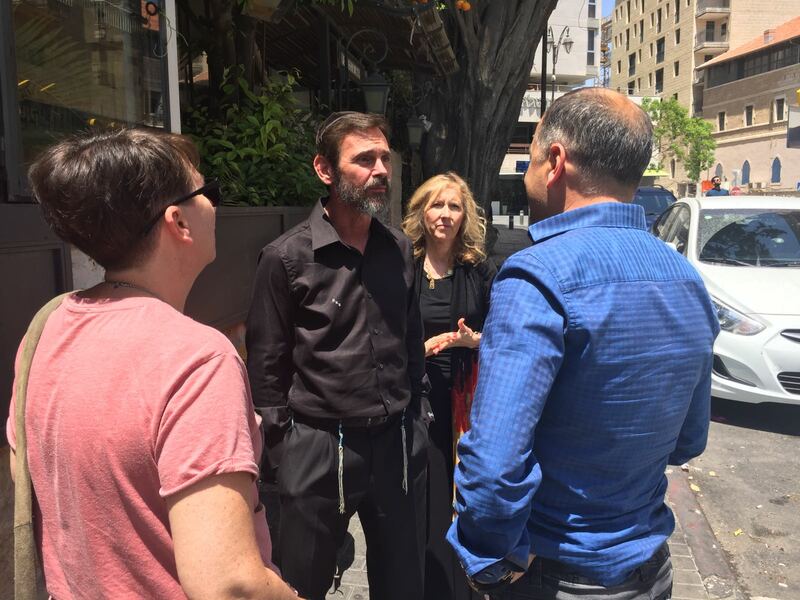 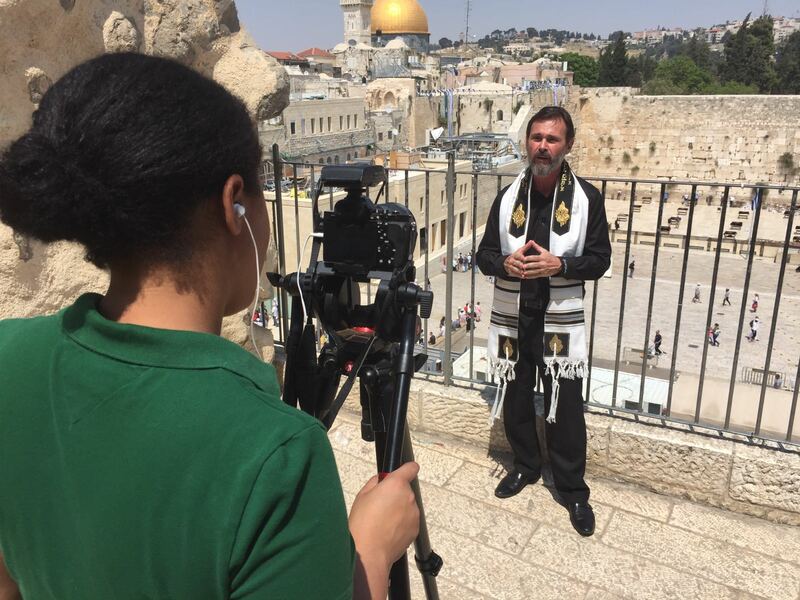 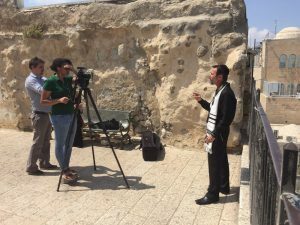 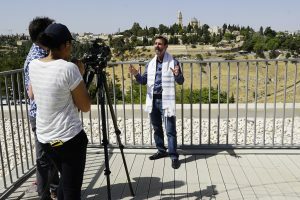 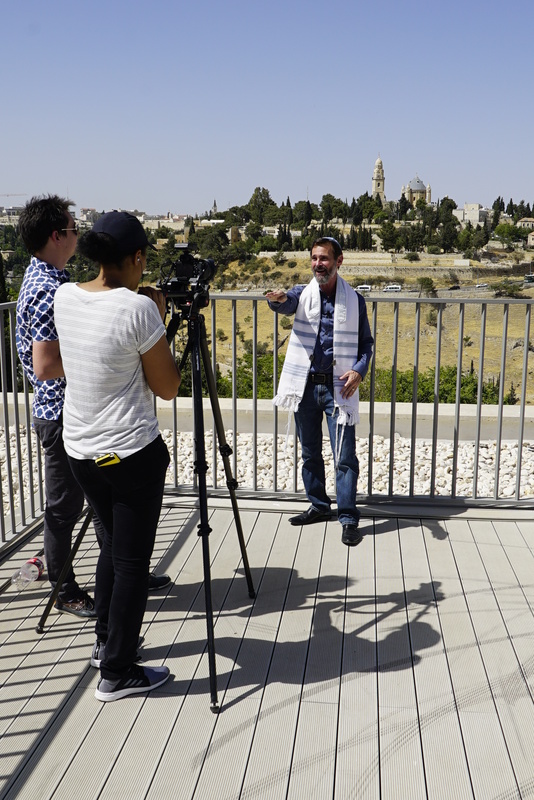 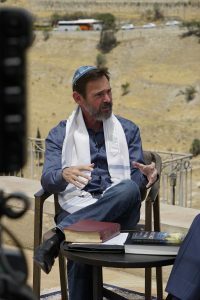 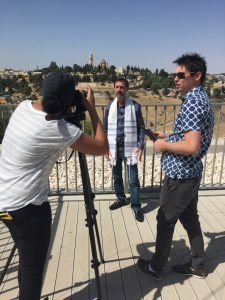 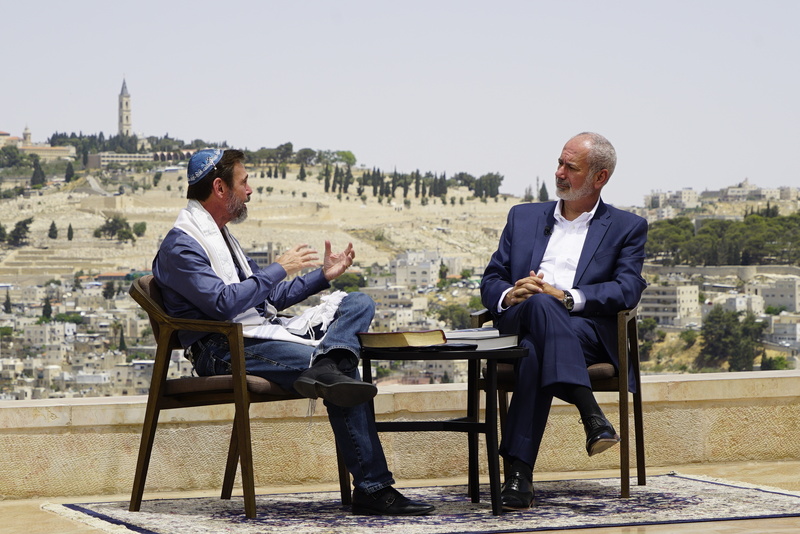 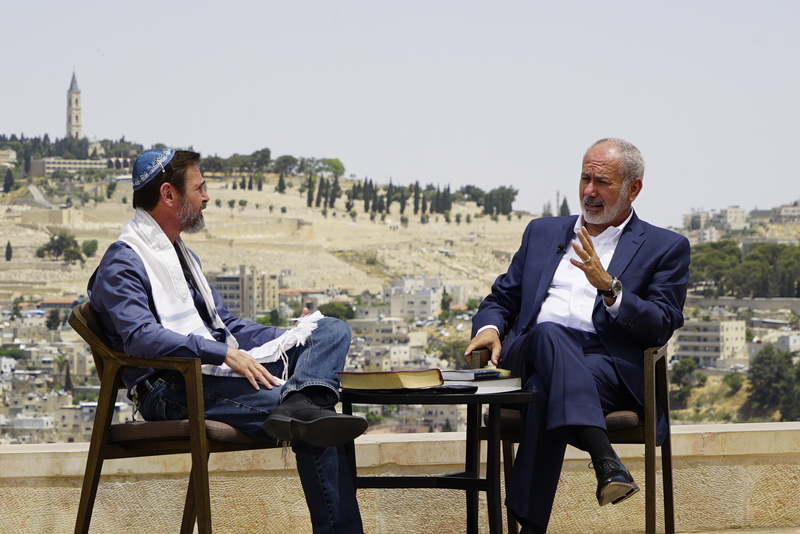 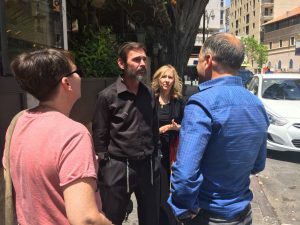 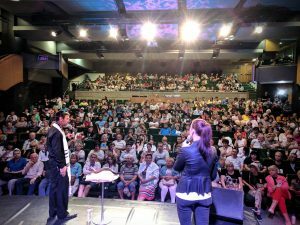 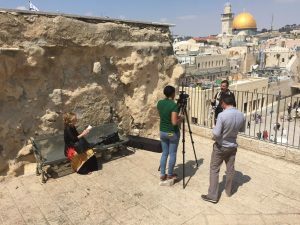 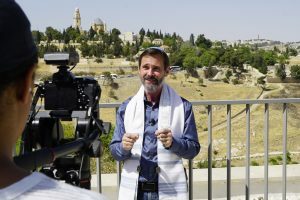 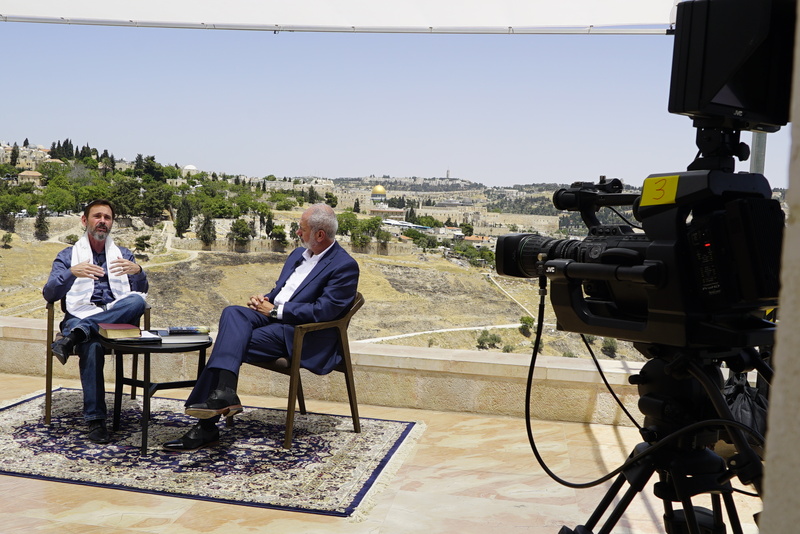 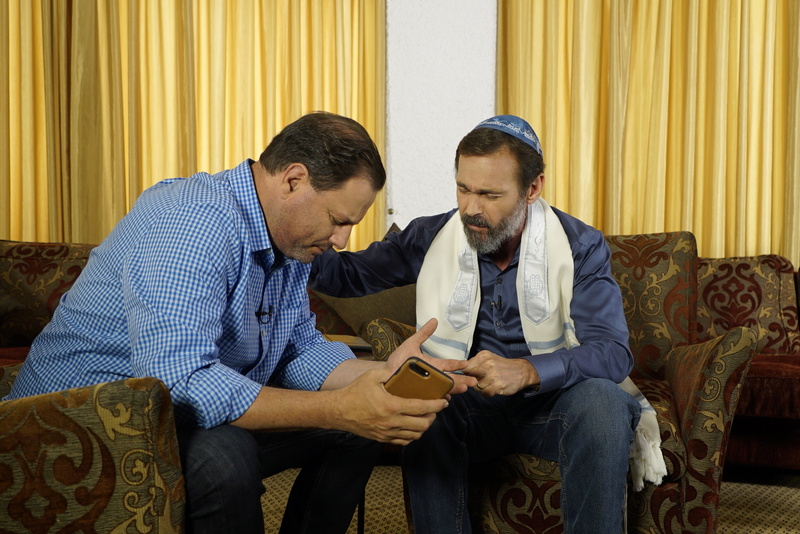 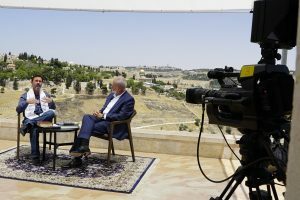 For about 10 years we have been preaching the Gospel through television into Israel; but now, Rabbi has begun on the ground evangelism in the Holy Land of the Lord Jesus, the Messiah! 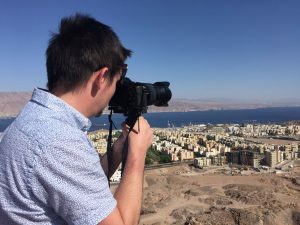 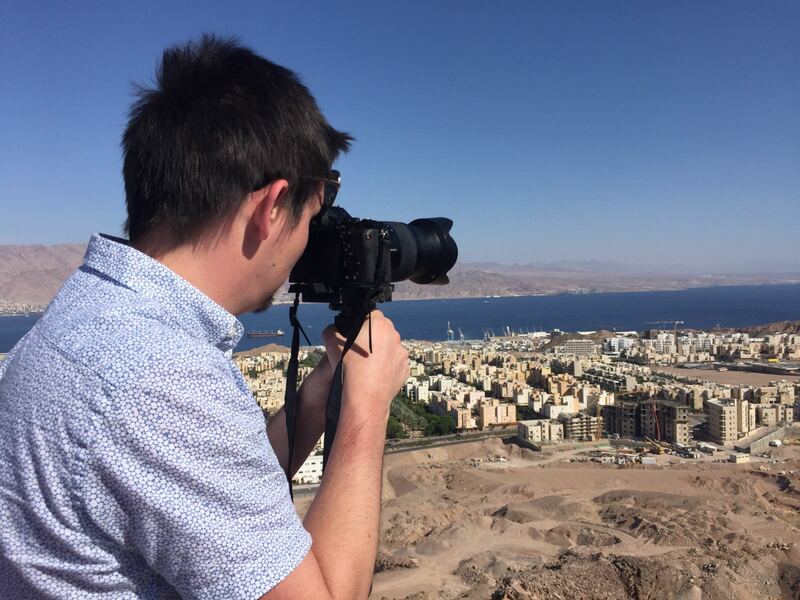 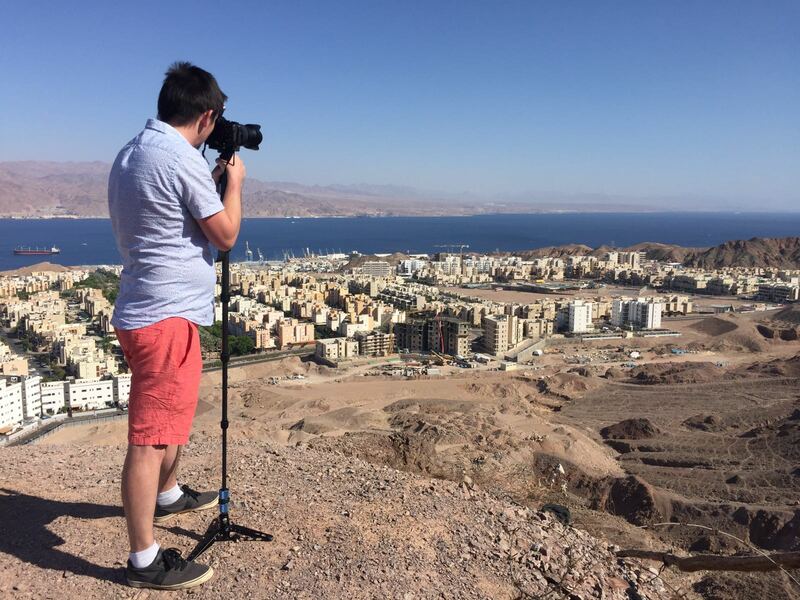 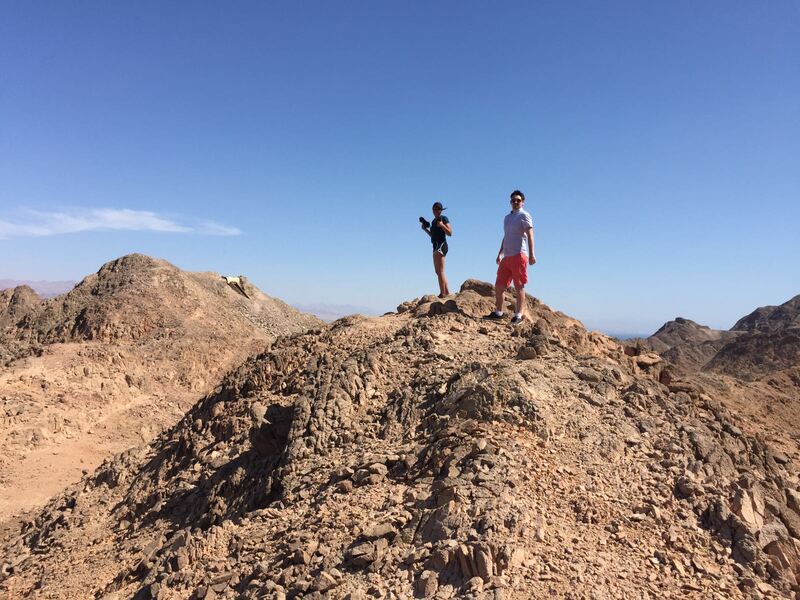 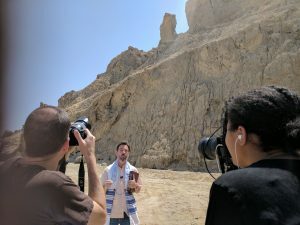 The trip to Israel began with filming television shows at the ancient site of Sodom and Gomorrah. 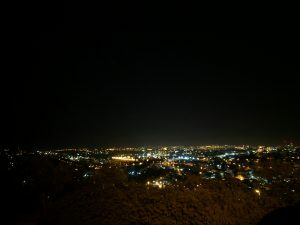 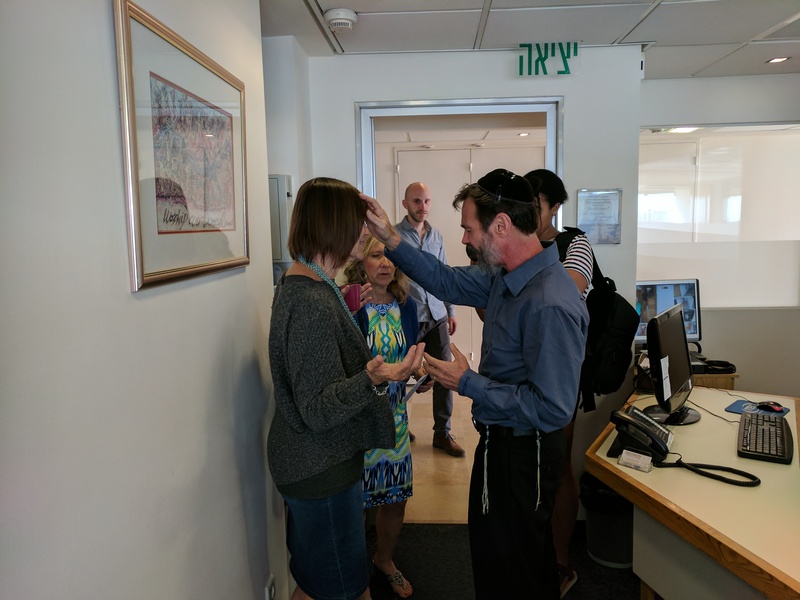 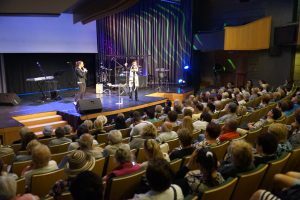 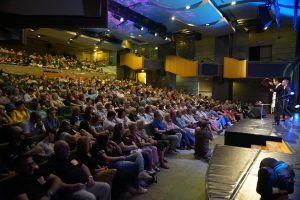 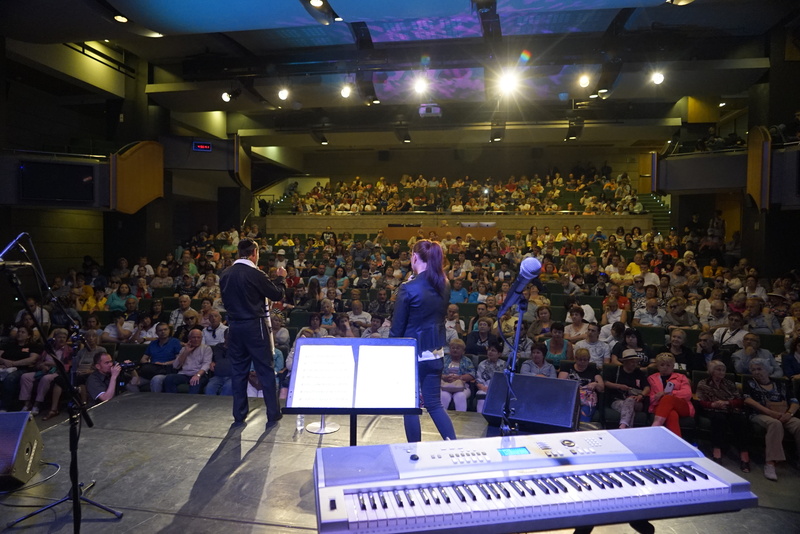 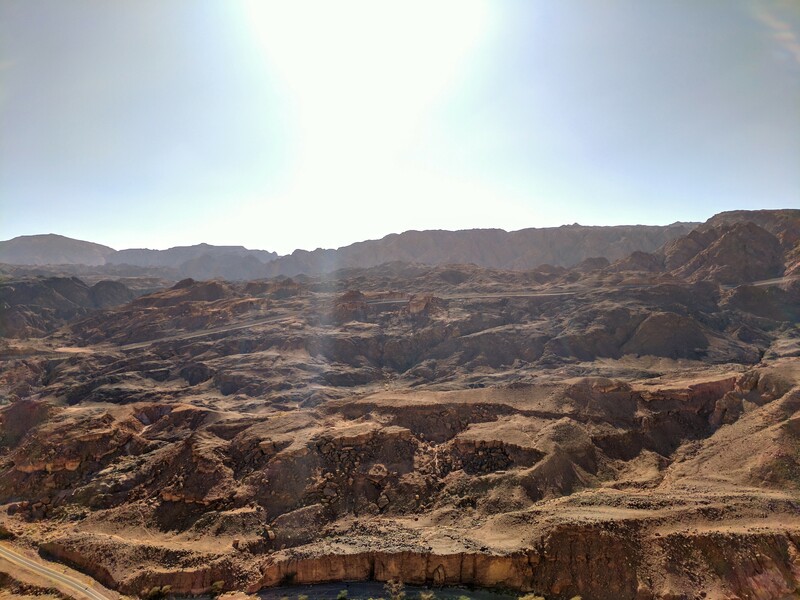 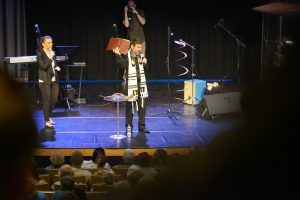 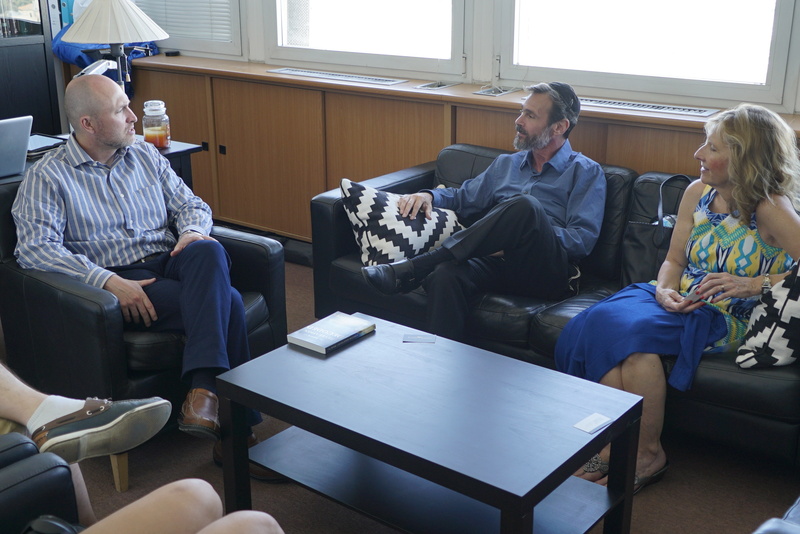 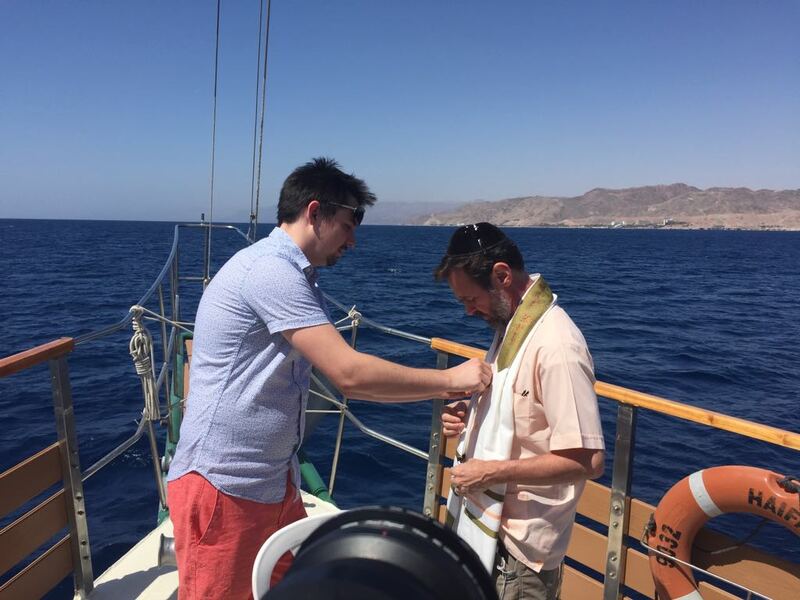 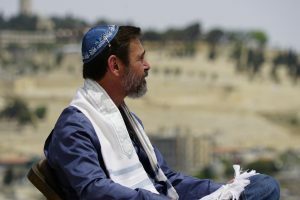 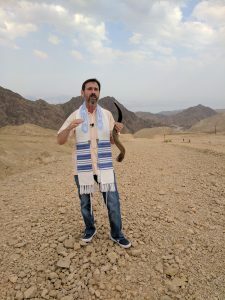 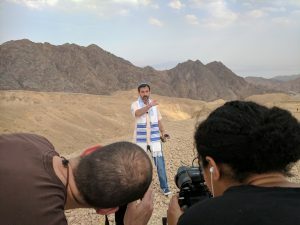 Rabbi and the DJJ team then traveled to Eilat, where God opened up the door for Rabbi to witness to secular Jews on the streets of the city. 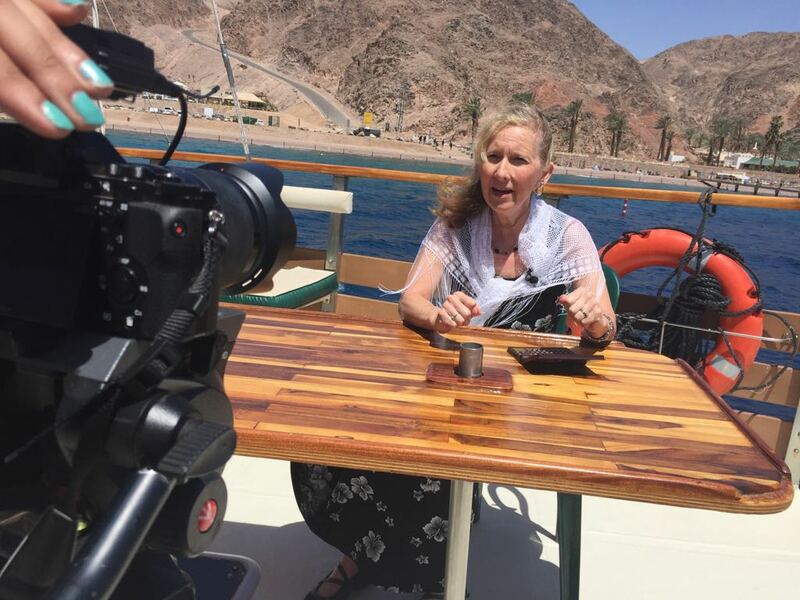 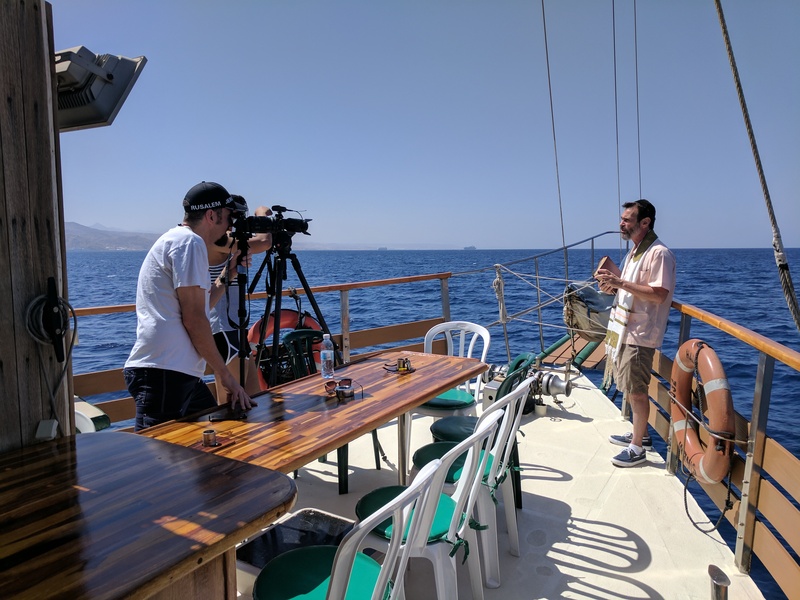 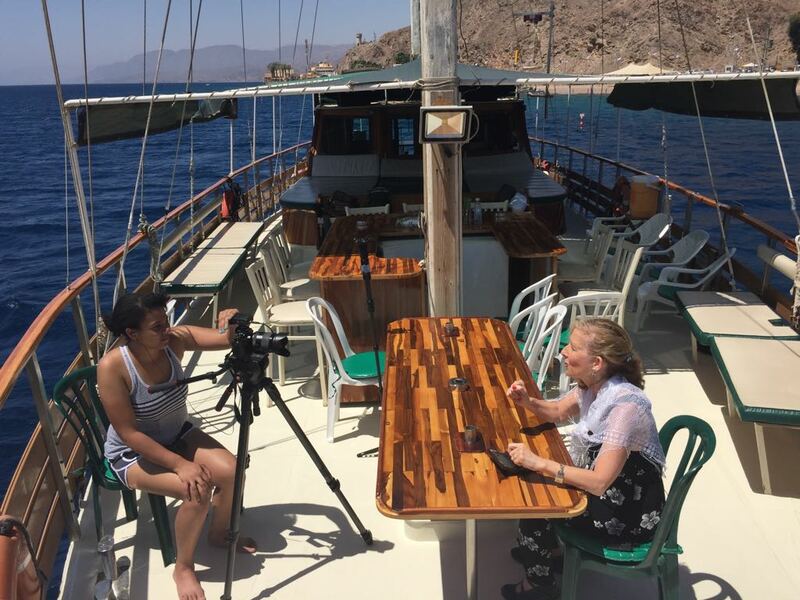 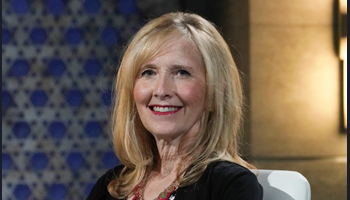 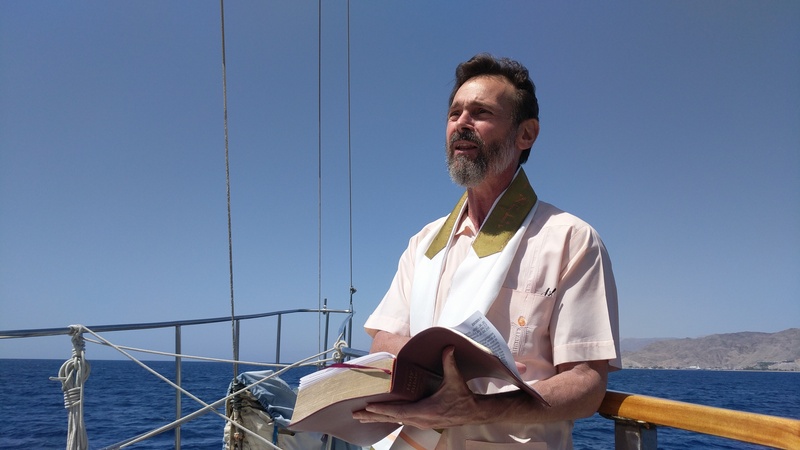 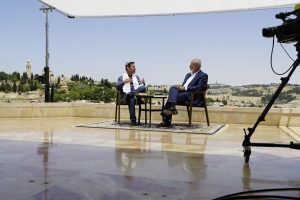 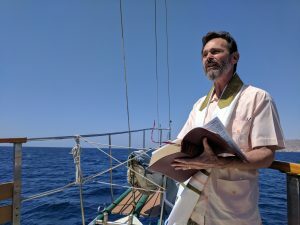 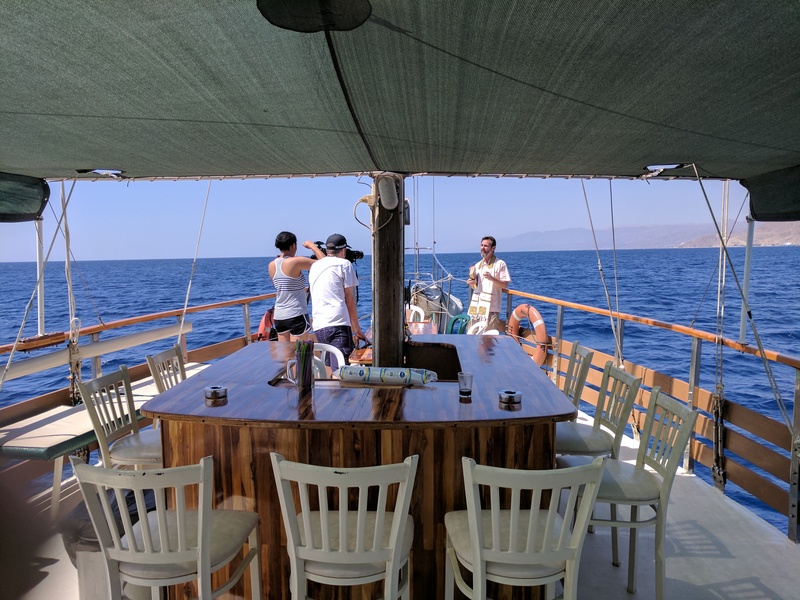 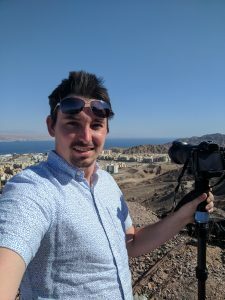 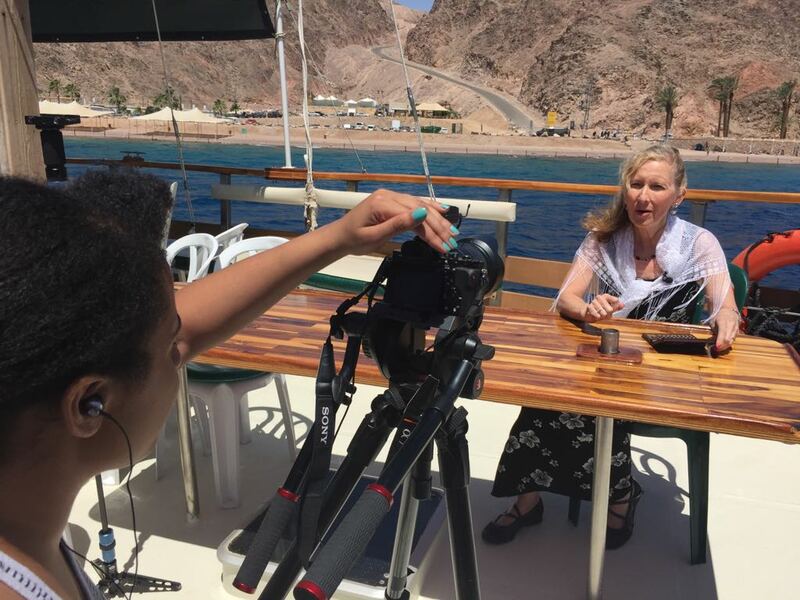 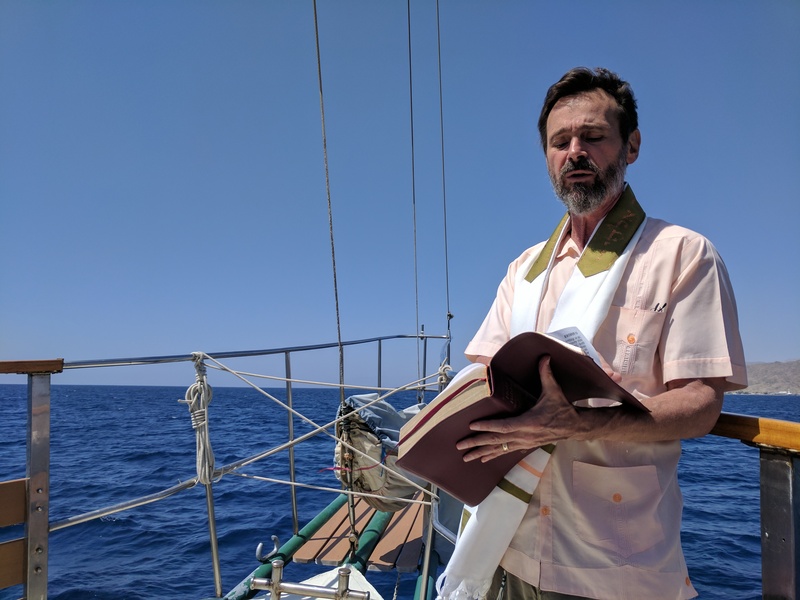 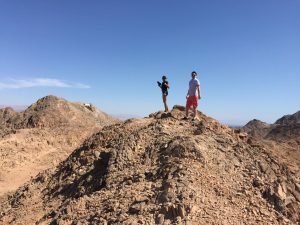 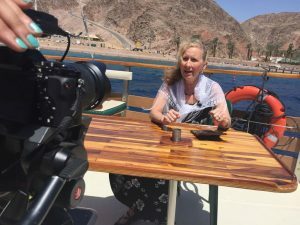 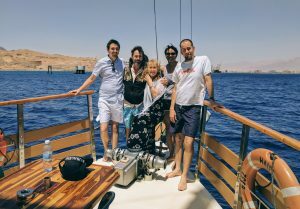 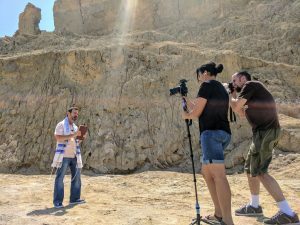 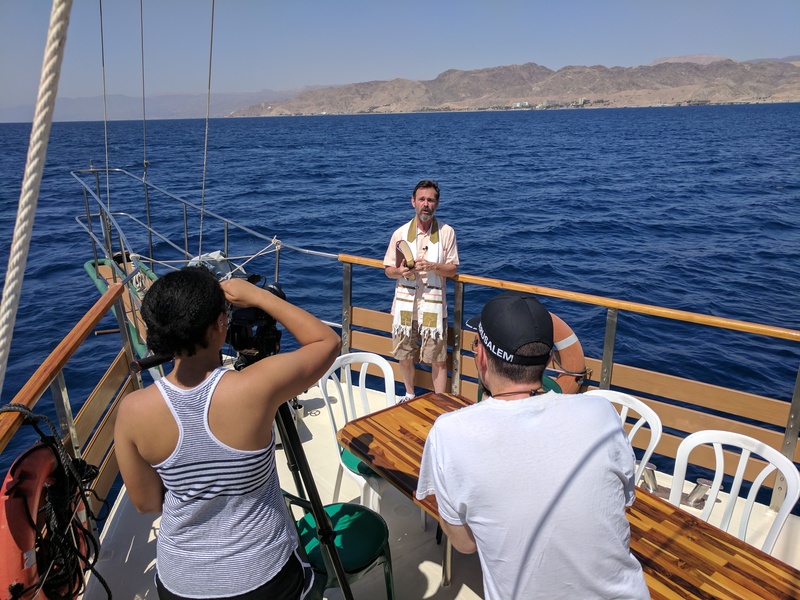 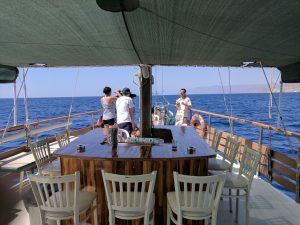 Next, new Seeds of Revelation were filmed on the Red Sea, right where God breathed His mighty breath and parted the waters for Israel to pass through the sea on dry ground. 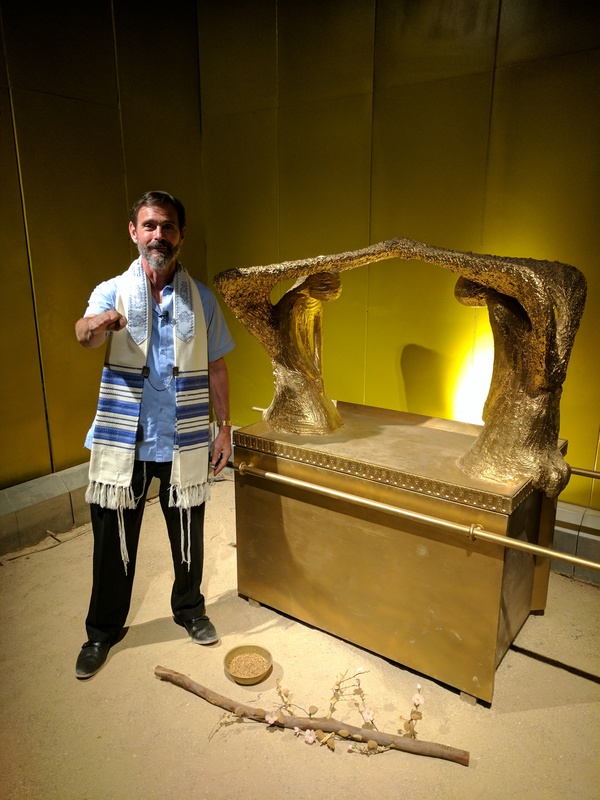 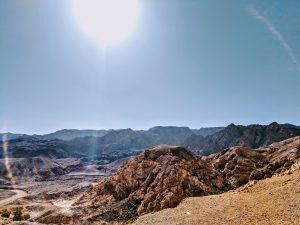 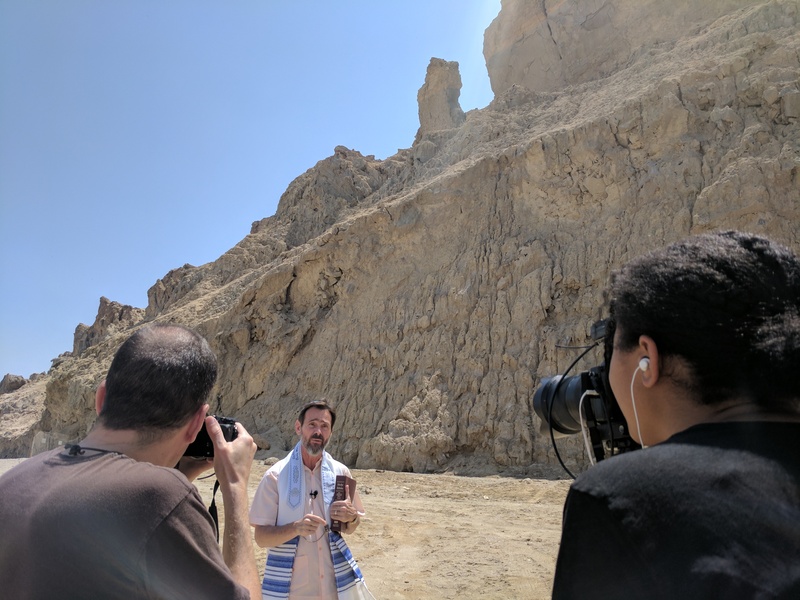 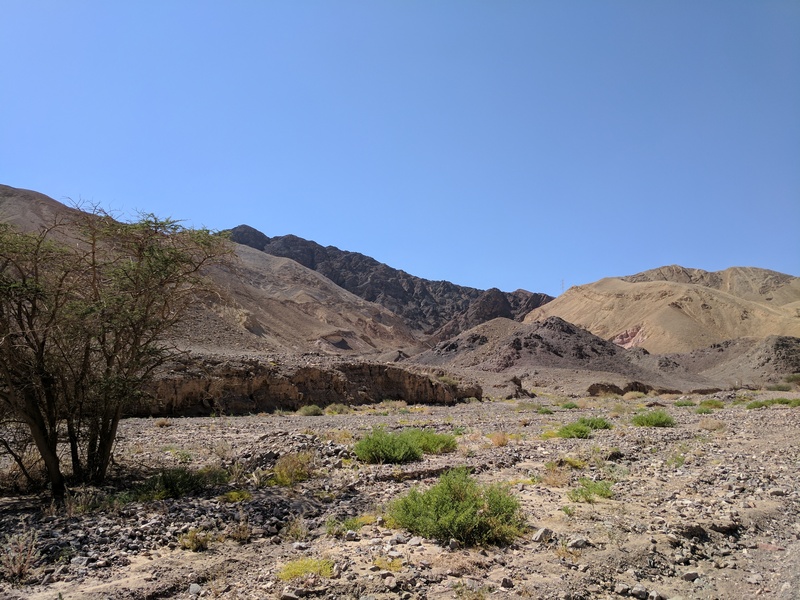 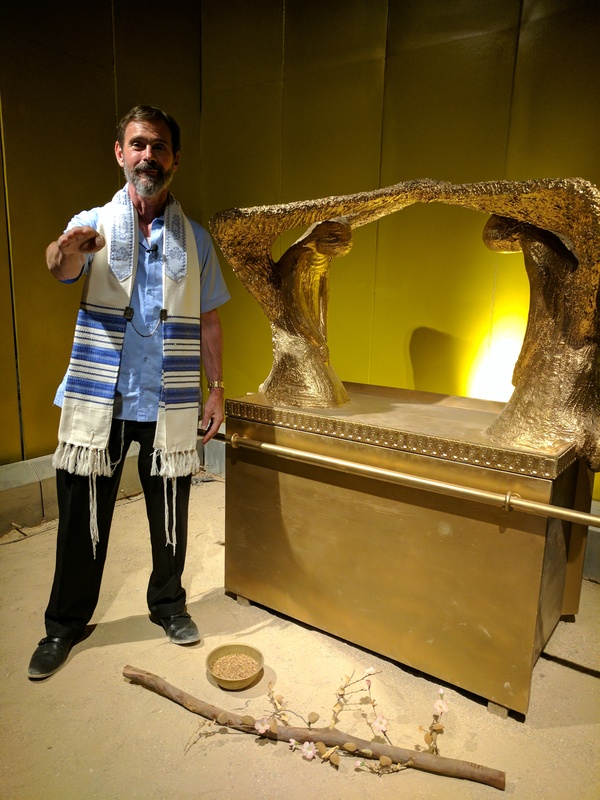 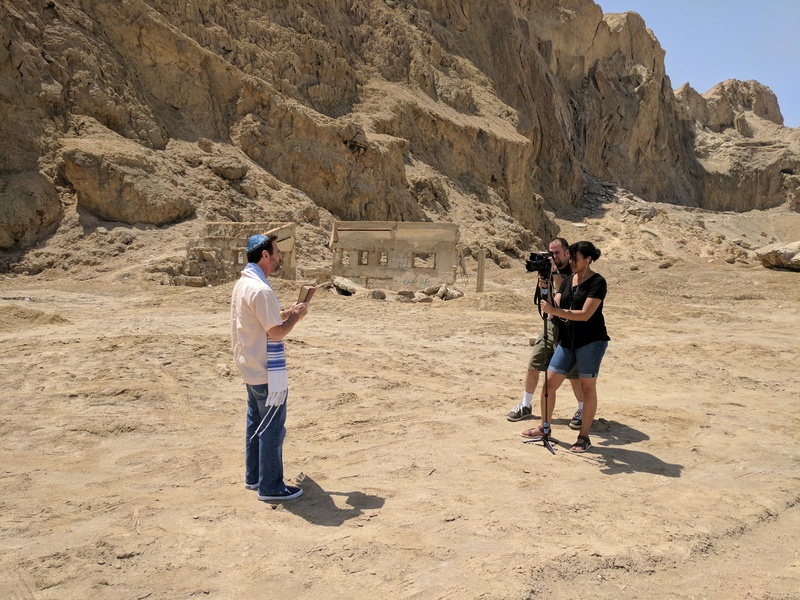 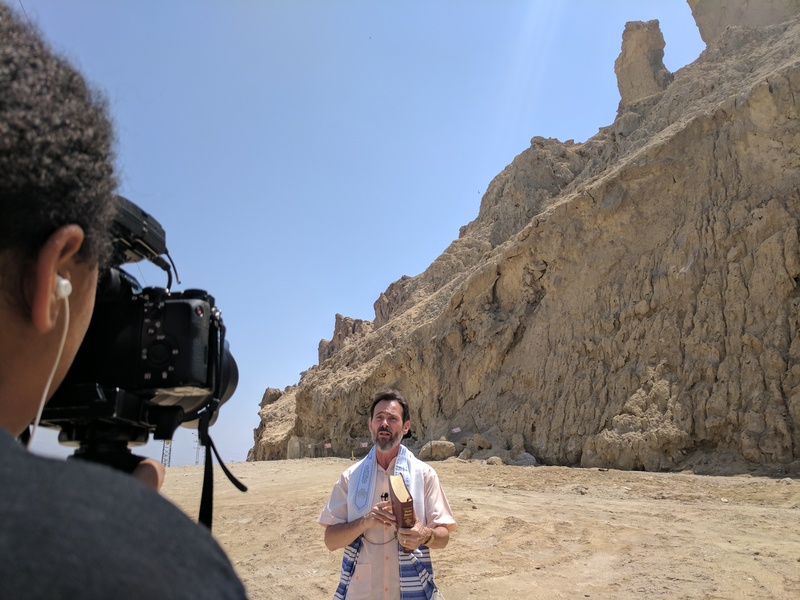 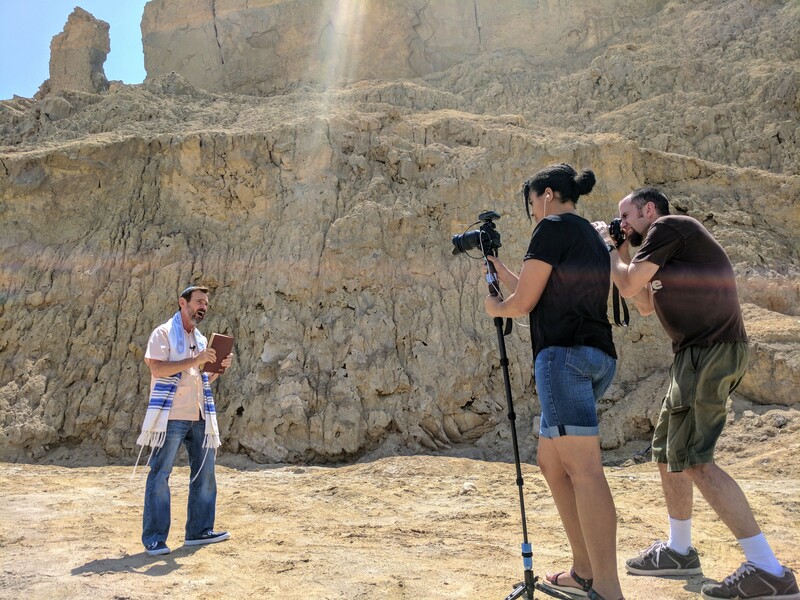 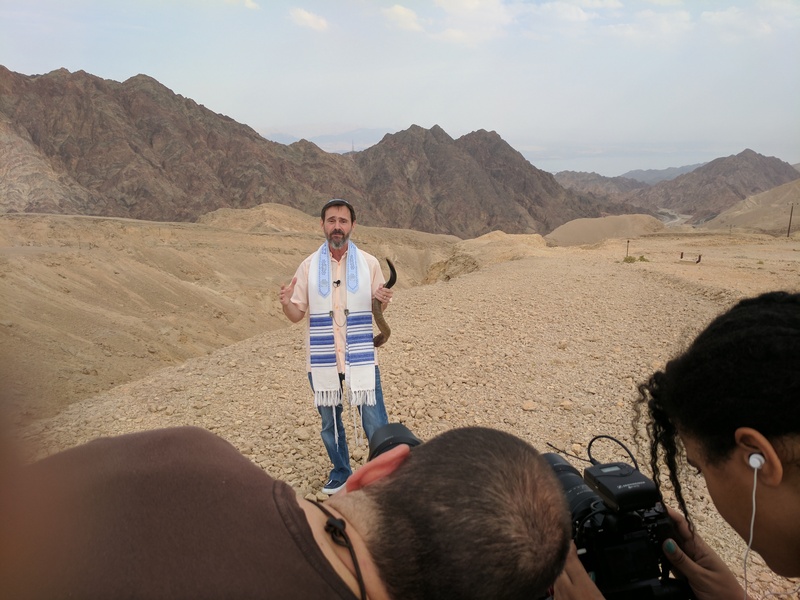 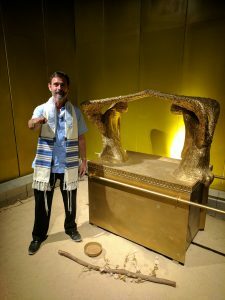 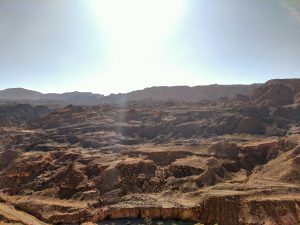 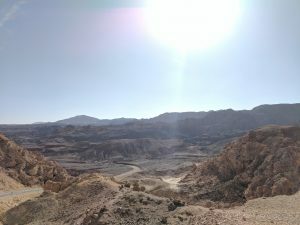 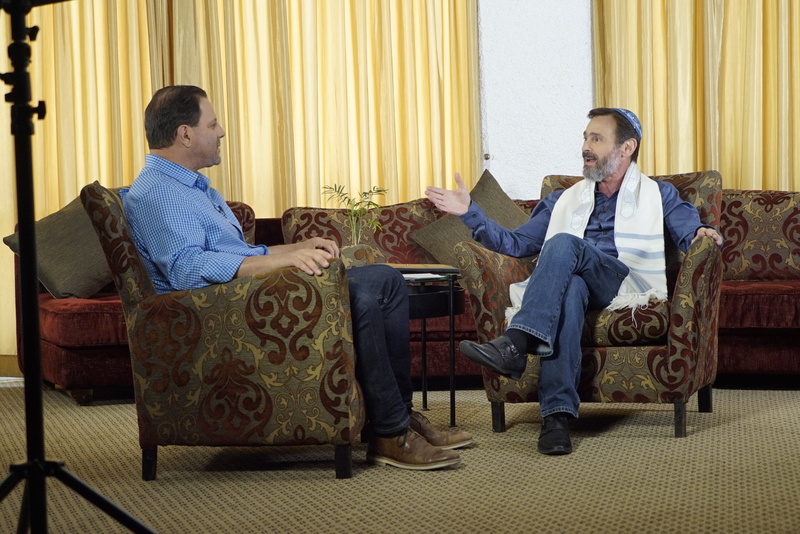 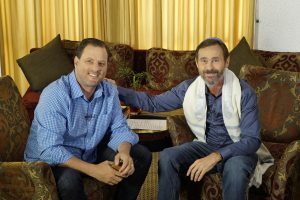 Before heading to Jerusalem, Rabbi journeyed into the Sinai wilderness to a replica of the Tabernacle of Moses, where he taught on how the tabernacle provides a pattern for relationship with God today (Watch for these exciting new DJJ episodes that are to air in the future!). 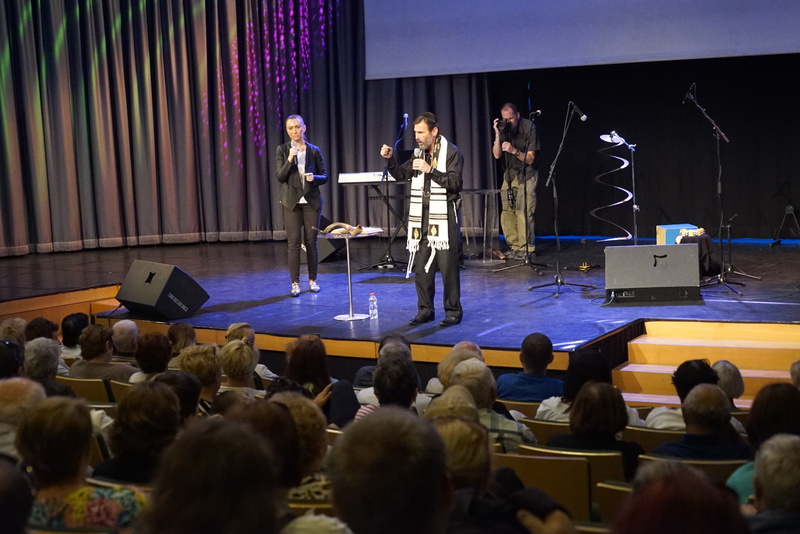 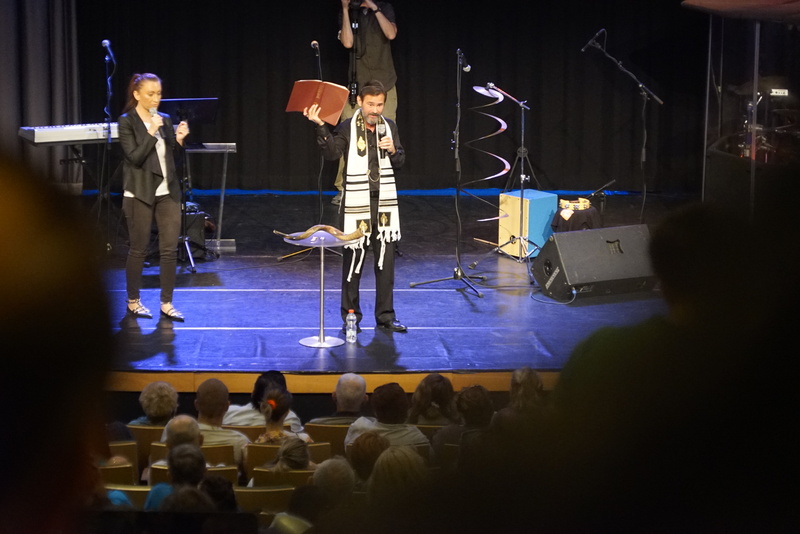 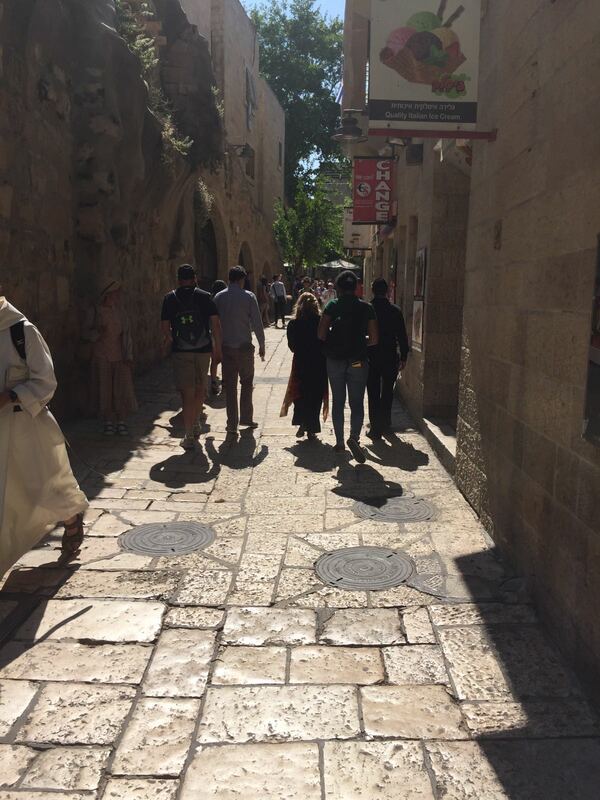 Afterwards, for the main event, the team made their way to Jerusalem where Rabbi preached the Gospel to 500 non-believing Russian Jews. 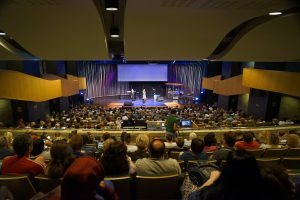 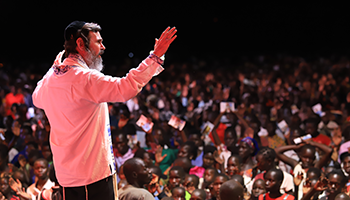 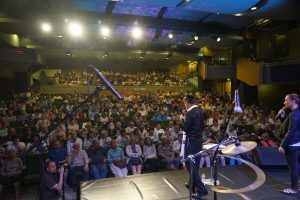 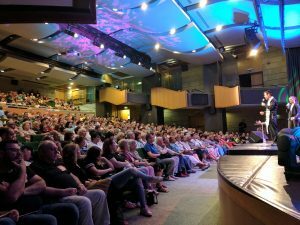 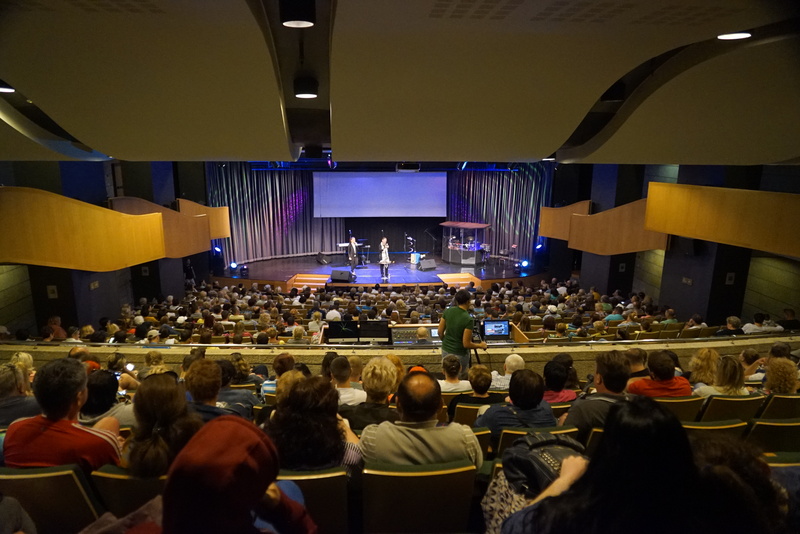 When Rabbi gave the altar call, over 1/3 of the audience raised their hands to receive Jesus the Messiah as their Lord and Savior. 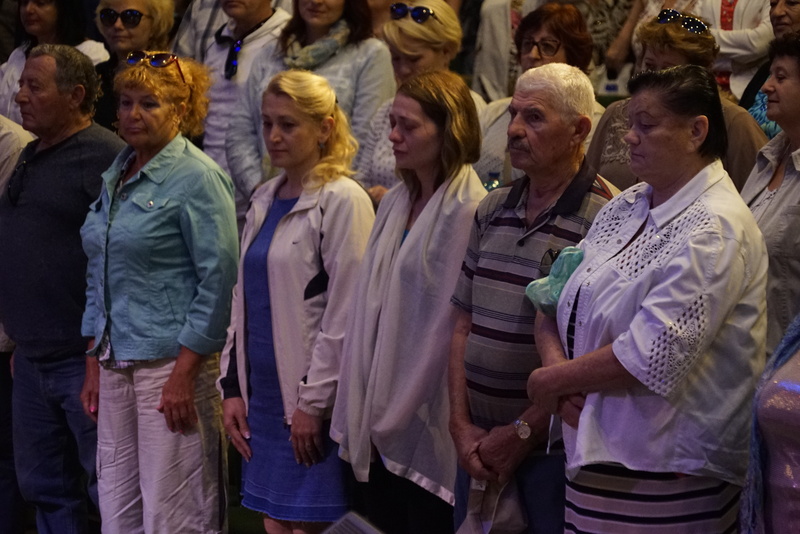 Some were in tears from the move of the Holy Spirit upon their hearts. 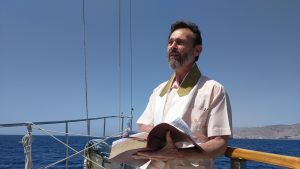 Praise be to God! 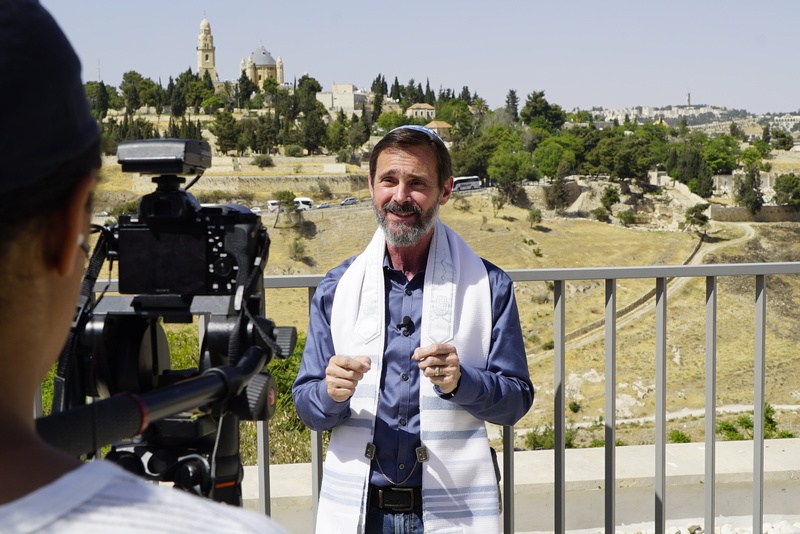 Please pray for these who have believed through the hearing of the Word—that they would be the first fruits of many that would come to the Lord in Israel. 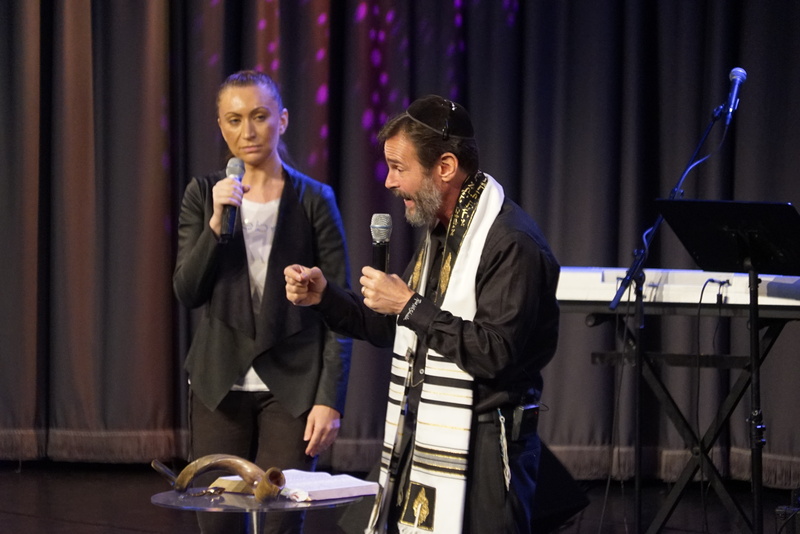 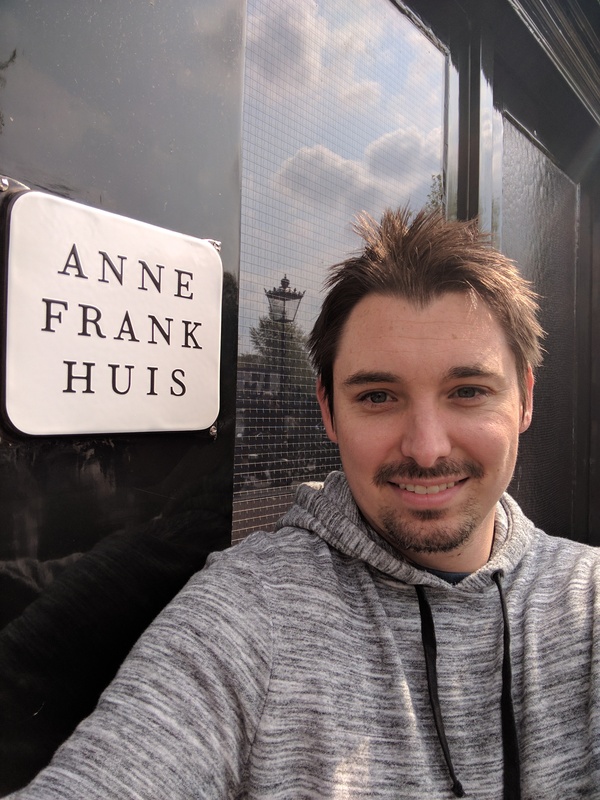 Also pray for the Lord to secure these new Jewish believers in His love and truth in the days ahead, when persecution, from unbelieving Jewish people, intensifies against them. 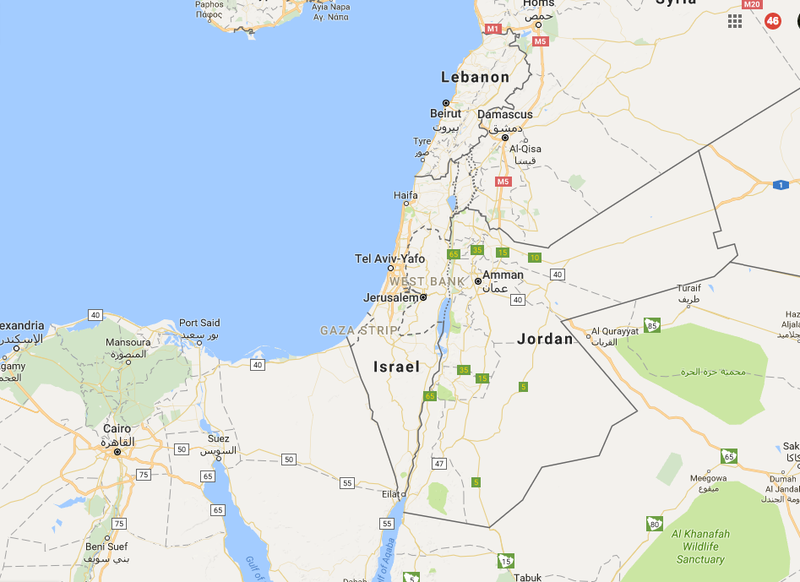  Please also pray for the Messianic Jewish leaders in the land, for there is great persecution and spiritual warfare against them. 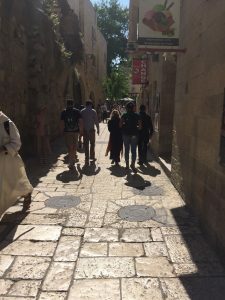 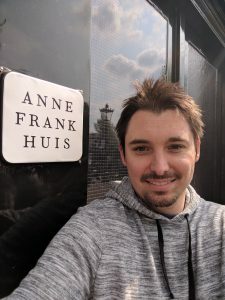 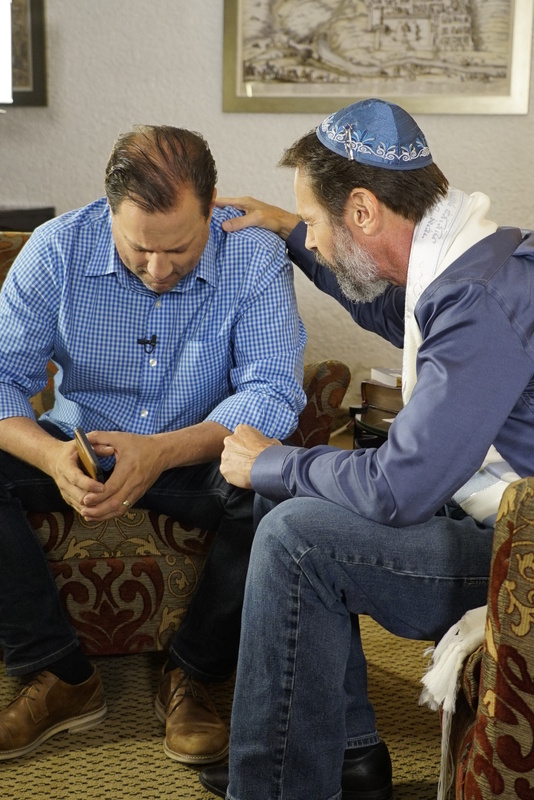 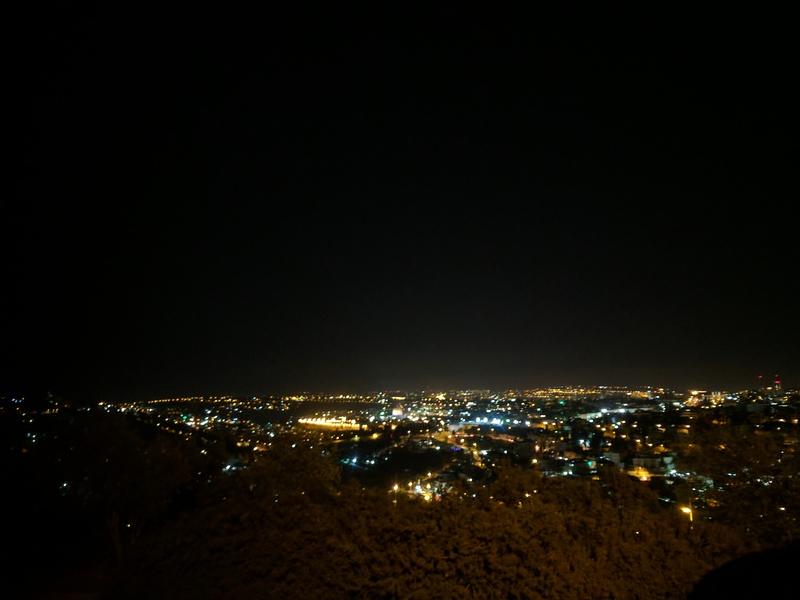 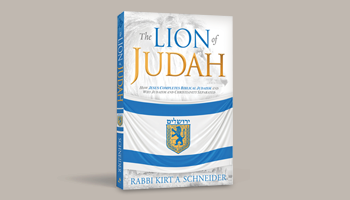 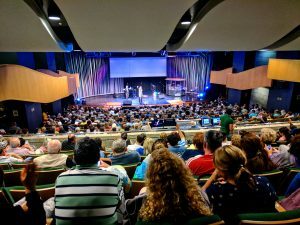 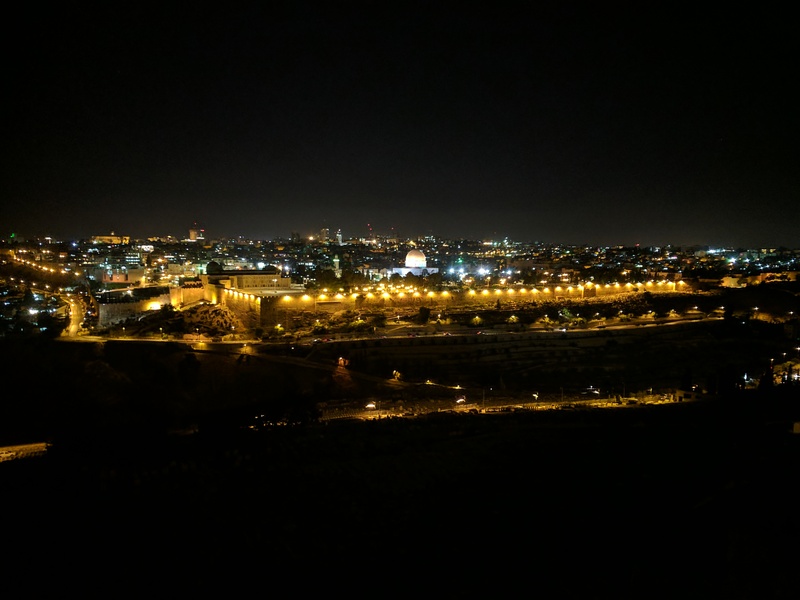 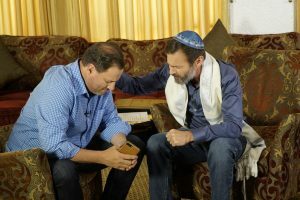 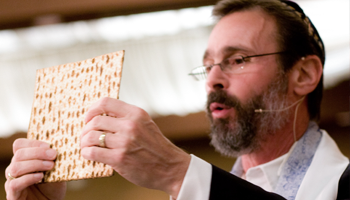 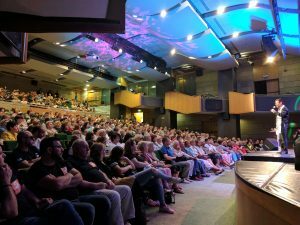 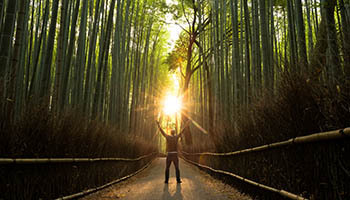 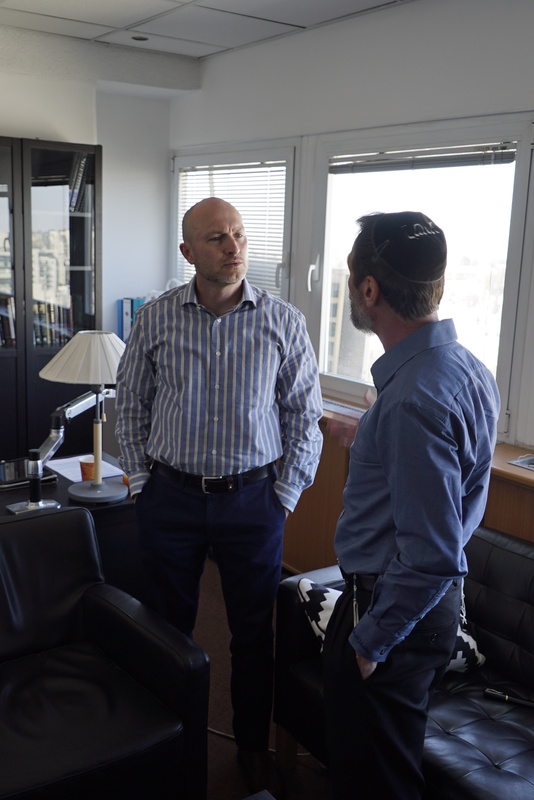 Lift up Rabbi and Discovering the Jewish Jesus, as we seek strategies to continue supporting Messianic leaders in the land of Israel and as we seek Father for ways that we can impact the Jewish people in Israel with the Gospel of Yeshua, their Messiah. 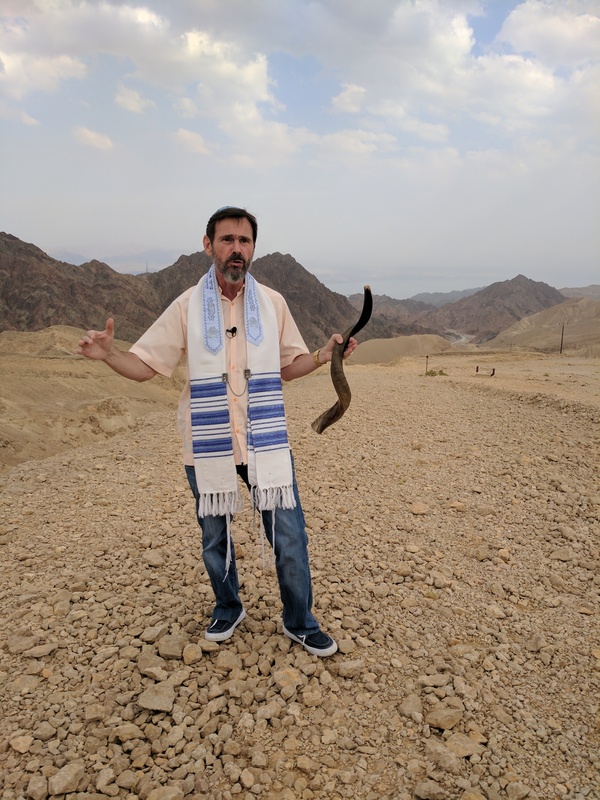 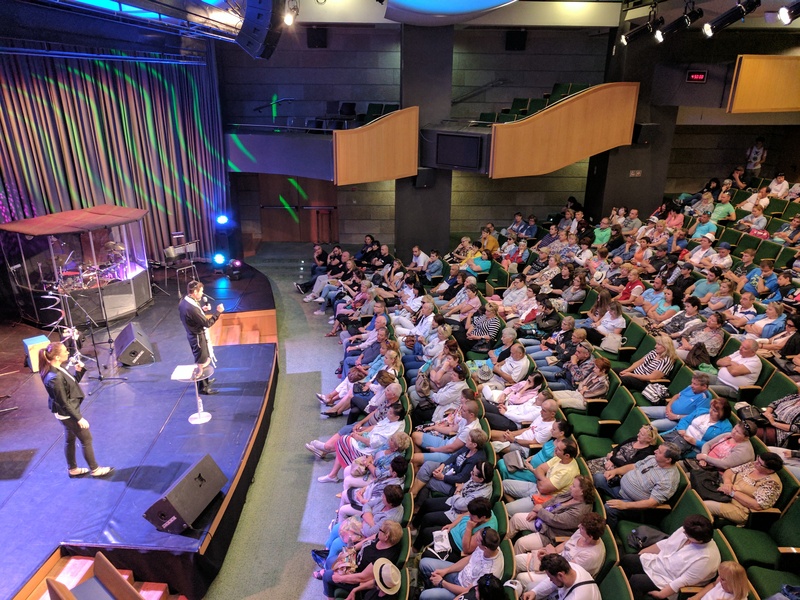 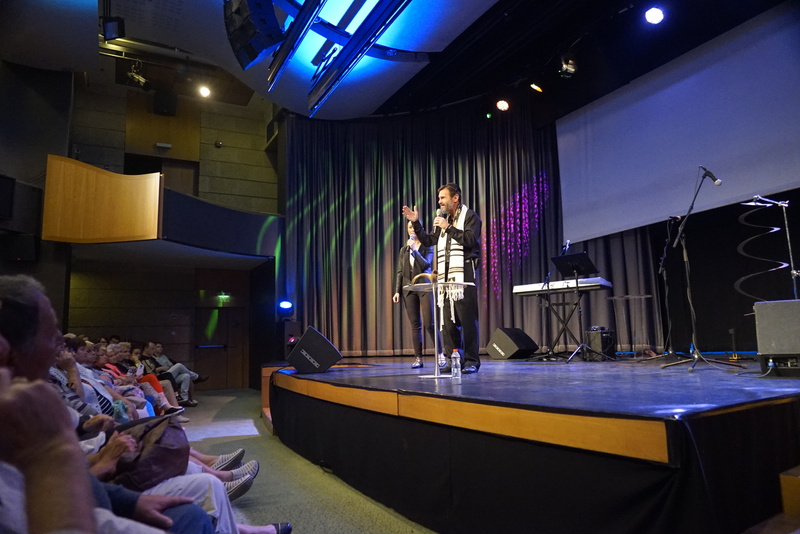 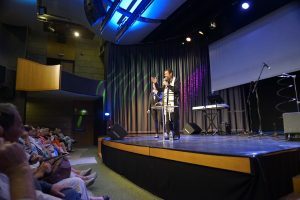 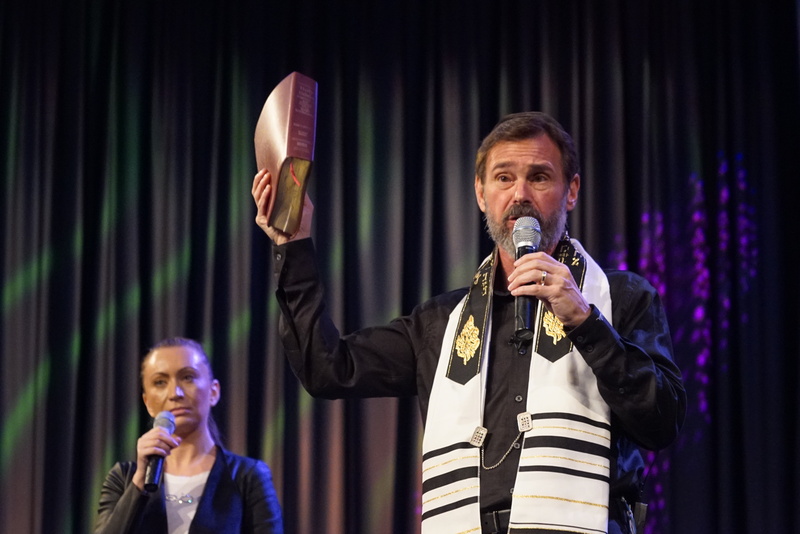 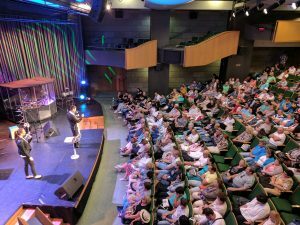 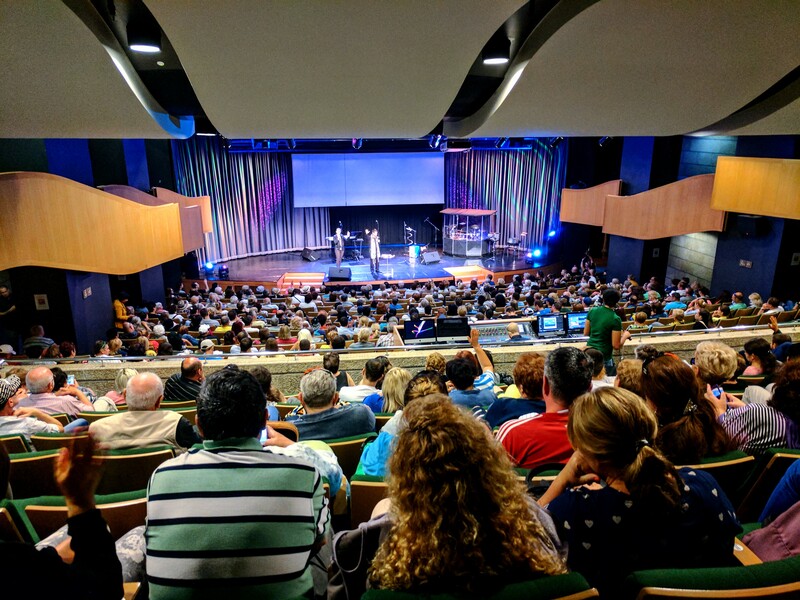 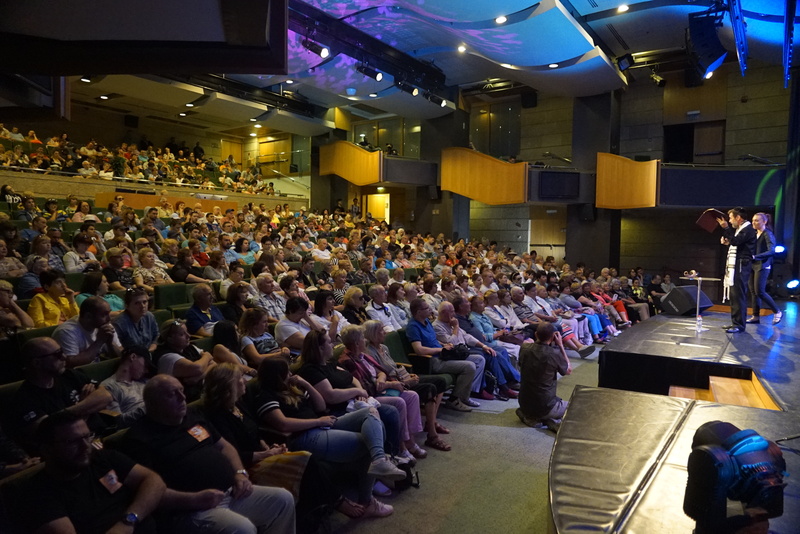 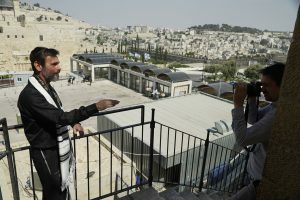 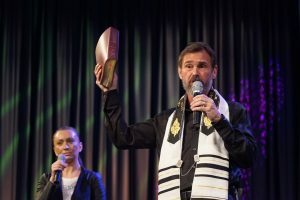 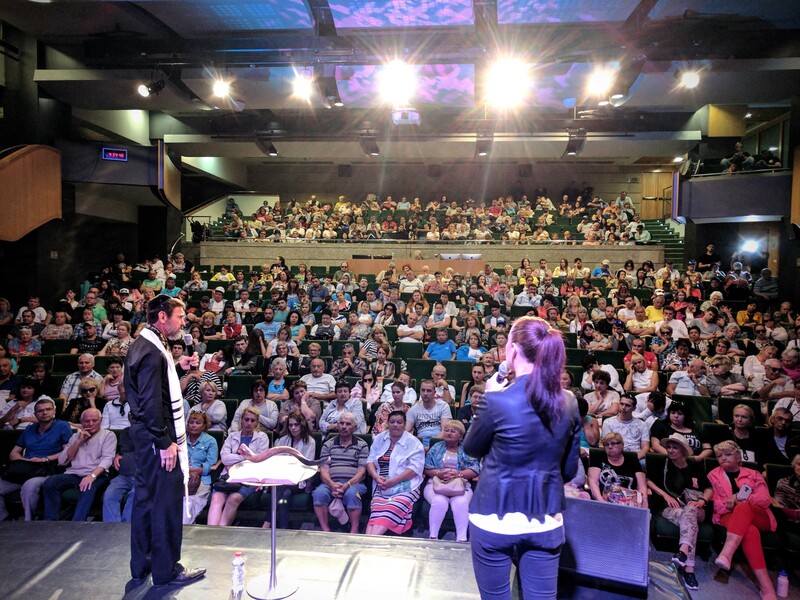 We thank God for this glorious new season as Rabbi advances God's call as an Evangelist to the nations, and now, on-the-ground evangelism in Israel! 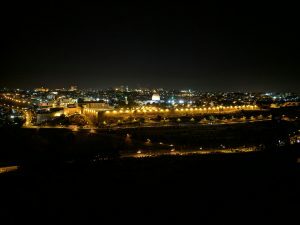 We are an army of the Lord, and we find ourselves in the Father's heart of reaching the Jew first, and then the Gentile!